Step 1: Go to the top of your browser screen and select the 'Tools' option. 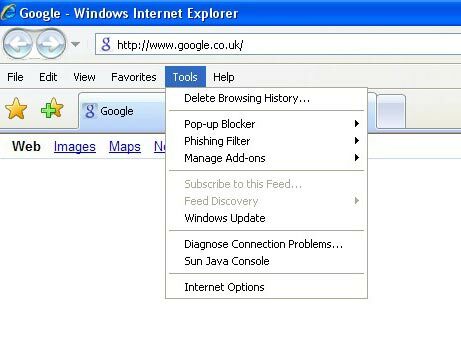 Step 2: From this menu, select 'Internet Options'. This will now open another window of options. 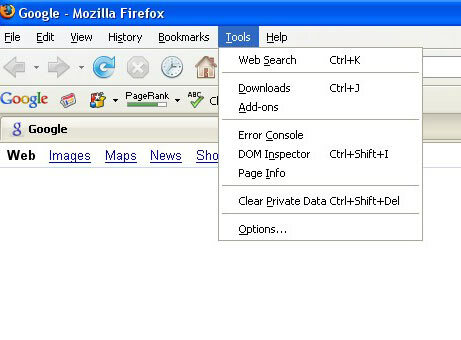 Step 3: In this new window, select the 'Security' tab, which is the second tab along the top of this new window. Step 4: The options this window presents you with, will now change once more. At the bottom of this window, will be a 'Custom Level' button. Click this button to bring up one more options window with a scroll bar. Step 5: You'll now see a long list of headings with three selectable options under each one. Scroll down until you see the heading 'Scripting' (which is located near the bottom of this list). This heading will also have a sub heading 'Active Scripting' and will contain 3 selectable options beneath it. Select 'Enable'. Step 2: From this menu, select 'Options...'. This will now open another window of options. Step 3: In this new window, select the 'Content' tab, which is the third tab along the top of this window. Step 5: Within this new window, make sure 'Move or resize existing windows' and 'Disable and replace context windows' are ticked. After you have done this, click the 'OK' to save and close the small window and then the 'OK' button of the remaining window, to save all changes.